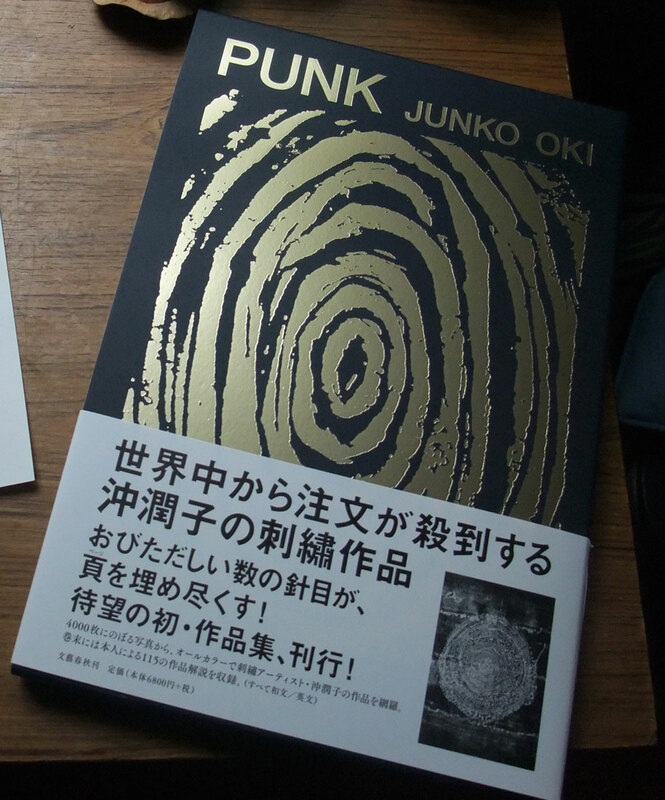 ‘PUNK’ by Junko Oki just arrived! 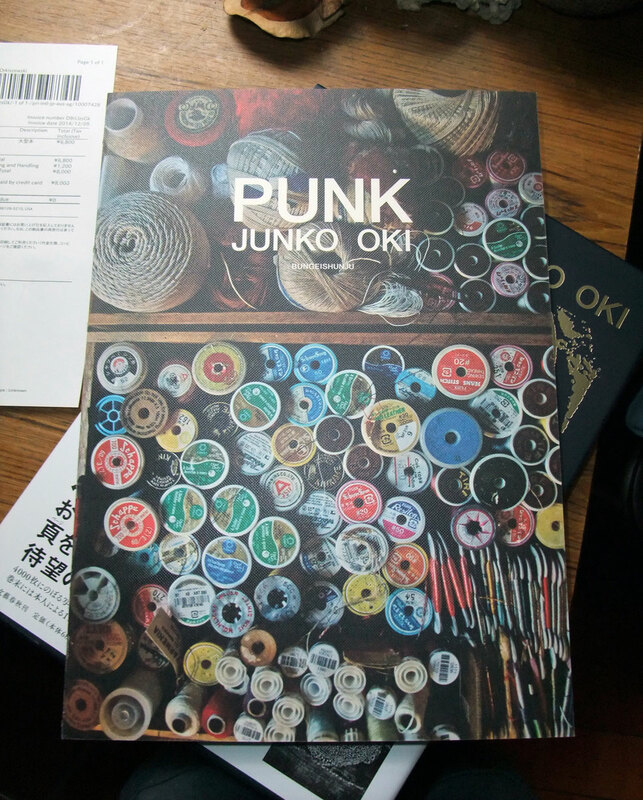 I am a huge fan of Junko Oki’s artful stitching & her new book ‘PUNK’ is a treasure! 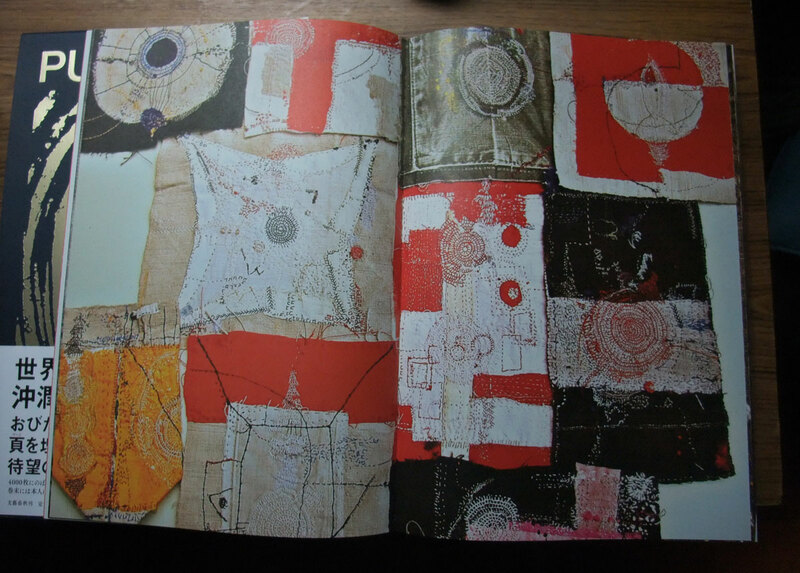 “In this book, there are 115 short narratives attached to each of the works included in this collection. As I wrote the narratives, I looked attentively at the photos I took of my works and went on a trip deep inside my conscious mind. Collectively, the works were none other than a reflection of me, maybe even embarrassingly so. I desired to expose myself even more through my works; I wanted to be true to myself. What else matters? That is the one thing I know that I am good at. I remember the faces of people who have crossed my path. I will certainly keep watching Junko’s journey, she is such an inspiring artist on so many levels. I hope to see her work in real life one day! I used Google Translate to translate the information from Japanese to English & it worked fine! PS just finished reading “The Love Song Of Queenie Hennessey” last night, an achingly beautiful book but oh it makes me miss the two beautiful girl friends who left the planet this year that I will never get to see again! done it now – through cow books. 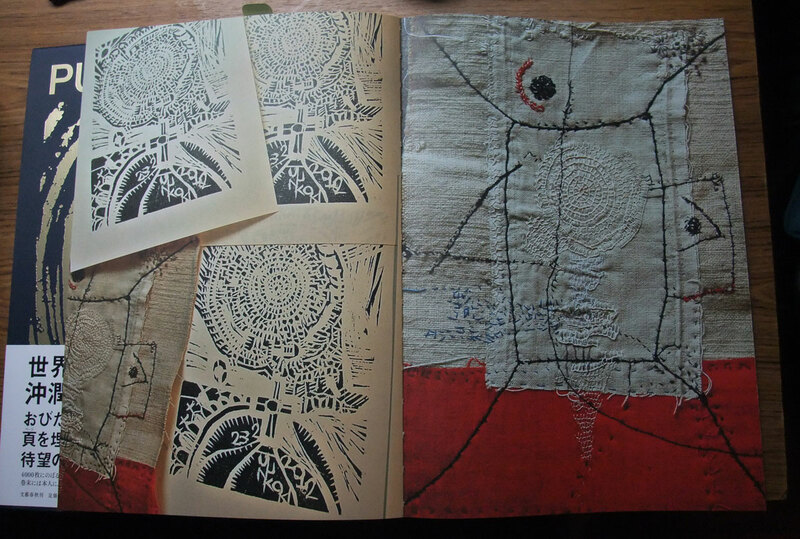 the freedom of her stitch is amazing – how she can seemingly “just stitch” and its right. I only recently started looking at her work. you will love the book Jane, her work relates to yours on an intuitive level, did you read her interview here? 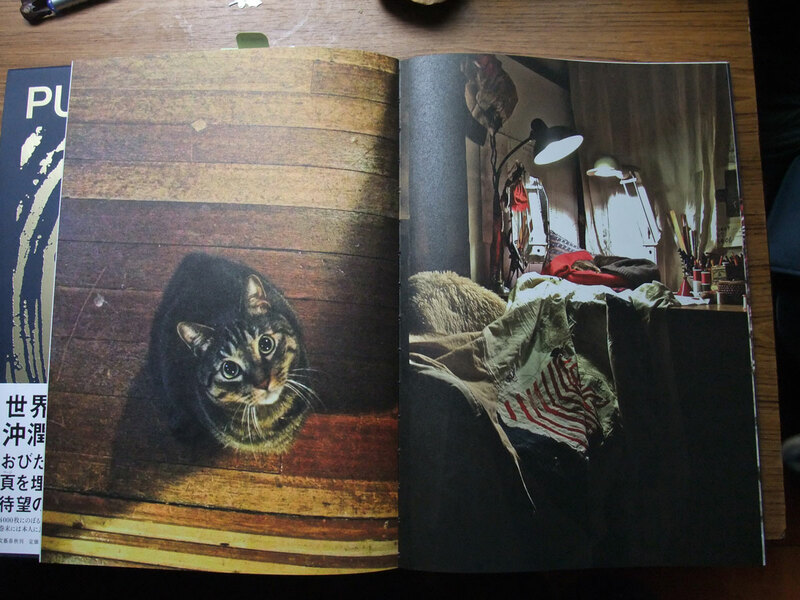 Ooooo, this looks like a delicious book!The work in progress is particularly inspiring. It’s a beautiful book Robyn! it’s the best xmas present for the cloth conjurors! Want . . . no, NEED. I had to laugh, New Zealand is not one of the countries listed on the order form. I emailed and got a reply plus an invoice so I can go ahead with the purchase . . . . and this is where it turns into a bad news, good news, bad news story . . . the price quoted was almost double the price for the book itself. I’ve asked for the postage and handling to be checked and I’m hoping the story ends with good news. I’ve done it . . . my (2nd or 3rd) present to myself this Christmas! Thanks, I bought it through Amazon, Japan as well. So easy. woops. meant to say i could Not manage to understand the $ transaction in above comment but will try with your new link. Yay Linda! 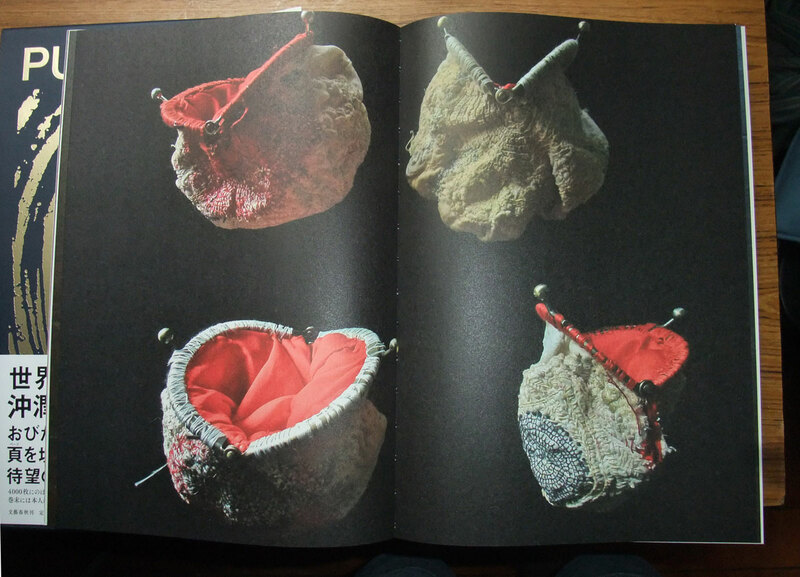 Merry Christmas to all of us cloth conjurors with a big thank you to Junko for getting this wonderful book together!! I’ve already ordered myself five books for Christmas. I wonder if I can allow one more?! As usual, I appreciate the quality work that you bring to us! ((Jude)) y’know both you and Junko’s work speak directly to the heart and soul! Thanks for the advance look. I can’t wait to see my very own copy. It’s on the way, my annual Christnas present to myself. Hi Leonie, Junko gives the world a wonderful gift through her stitching and words! I enjoyed the interview, Mo, Junko sounds like a fascinating person. Thanks for introducing another wonderful artist. don’t you love how it’s wrapped? yes, i think that junko is particularly interesting, sometimes it sounds like her stitches just “appear”. i love that. and i was pretty excited to see that she was more “mature” than i had thought! i was so happy with it, it continue to open it and be amazed. Wow, beautiful and inspiring work. l already have given myself several Christmas presents but maybe Santa can be convinced that I have been an especially good girl this year.